There are all sorts of reasons to fall for a song: a catchy melody, lyrical resonance, a novel production technique. In recent years, however, I’ve found that the songs that really get their hooks into me are those with one great, unique sound. My current jam is the weird squawk Miguel lets out at various intervals of his late-period Marvin Gaye homage “Adorn”; in the past, I’ve fixated on the distinct clomp of the cowbell in The Kills’ “Sour Cherry” or the pitter-patter of the ride cymbal during the intro to Steely Dan’s “Peg.” When The A.V. Club’s own Sean O’Neal pointed me in the direction of Andy Stott’s 2012 LP, Luxury Problems, I discovered an album that’s composed almost exclusively of infectious little snatches of sound—samples like the spooky vocals (by Stott’s former piano teacher, Alison Skidmore) that are chopped up and arranged around the hypnotic groove of the album’s title track. Skidmore’s voice and her connection to Stott made her the de facto star of the LP, but the blood-simple bass of “Luxury Problems” steals the spotlight for a five-minute interlude. 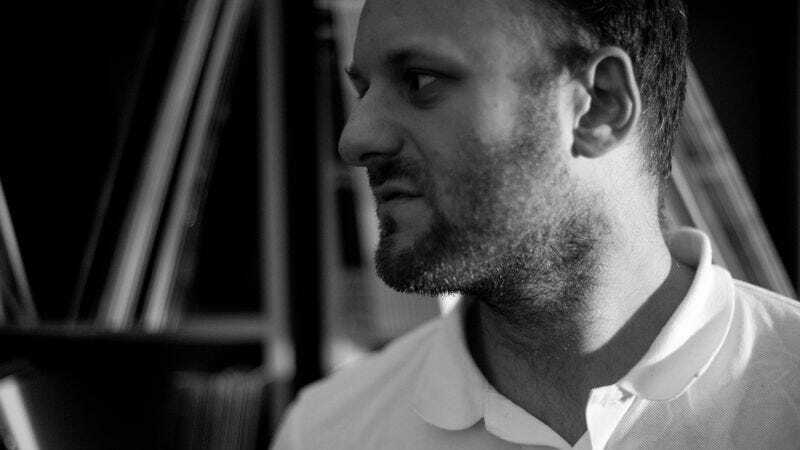 In a year where electronic music ingrained itself deeper into the mainstream by going bigger and dumber (not that these qualities don’t have their own merits), Stott made one of 2012’s best, most stirring LPs from scraps like a bassline that spans little more than a few frets on an E string. And the singular properties of the bass’ sound—deep and echoing, added to the mix of “Luxury Problems” as if it’s bleeding in from a party two apartments away—make it worth falling for again and again.